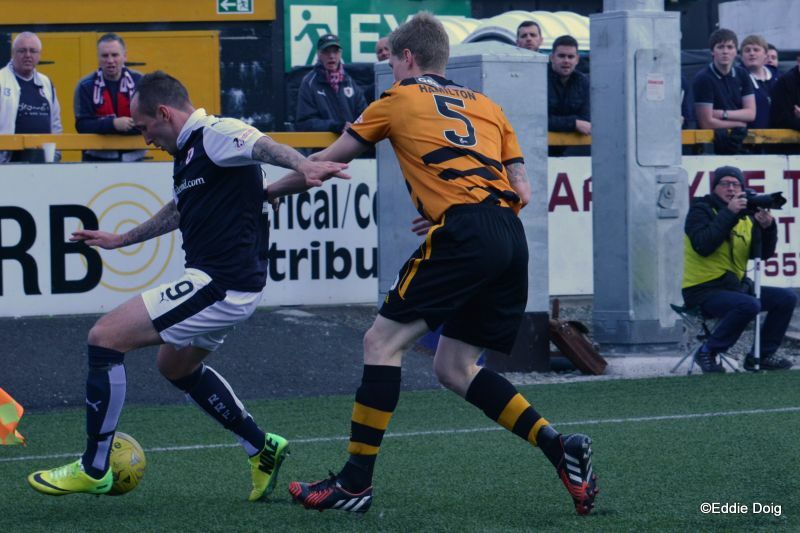 The Rovers made the short trip along the Forth to face Danny Lennon’s Alloa Athletic. 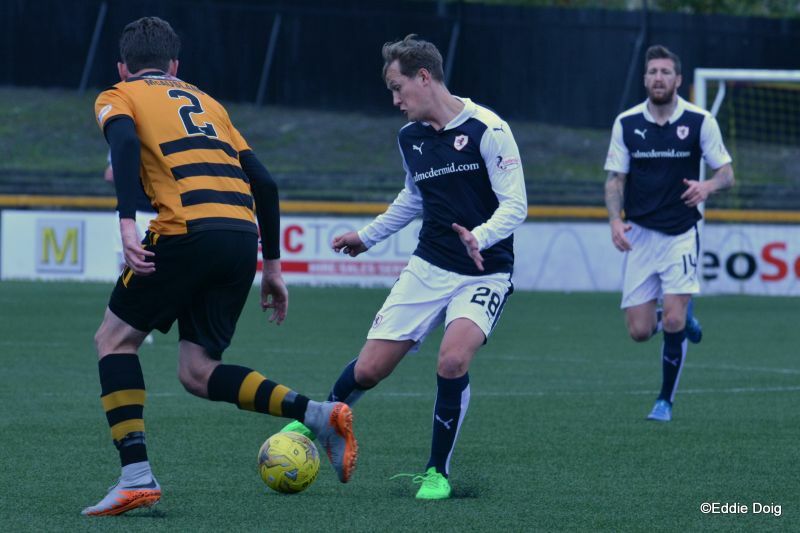 Ray McKinnon’s side were looking to maintain a streak of four league wins. The line-ups saw Scott Robertson make his first Rovers start after a couple of Development League runs out over the international break. 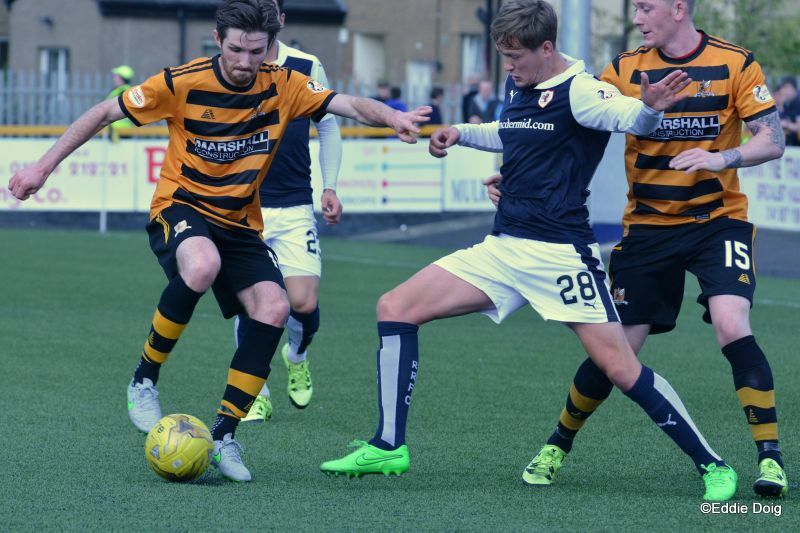 Also coming in was Craig Wighton with Ryan McCord and Grant Anderson moving to the bench. The hosts had ex-Rover Andrew McNeil in goal (in purple tights!) and the much travelled Michael Chopra up front. Conditions were good and kick off followed the annual Show Racism the Red Card display from players. There was an early injury to the corner flag which took a knock which seemed to leave it in three sections. Two were re-connected and the mini flag was quickly replaced by a grounds man. 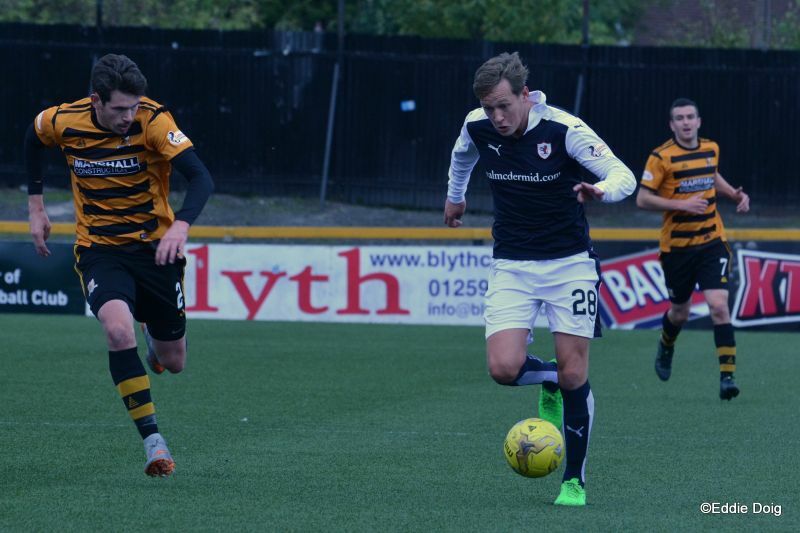 The first chance fell to the hosts, as the Raith support called for offside a cross was headed over by Flannigan. 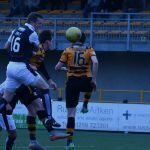 McKeown then pushed forward and from the resulting corner and some pin ball in the home box ended with the ball being hoofed clear. Toshney then headed Craigen’s free kick wide as the Rovers started well. 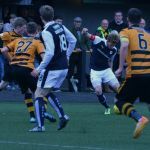 Before the first ten minutes were over Alloa had a free kick which saw them fail to capitalise from a stramash in the Raith box. 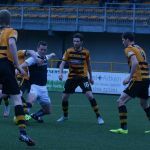 Cuthbert was then able to take a cross shot easily before Marr was booked after a more than vigorous challenge on Wighton. 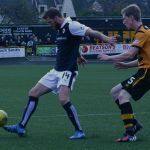 In the 14th minute a long clearance from Cuthbert was flicked on by Daly and Stewart took a touch before seeing his stinging volley acrobatically tipped away by a leaping McNeil. 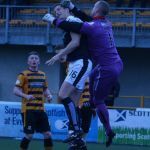 The resulting corner was hit low at goal by Wighton and with McNeil beaten a home man on the post booted the ball away. 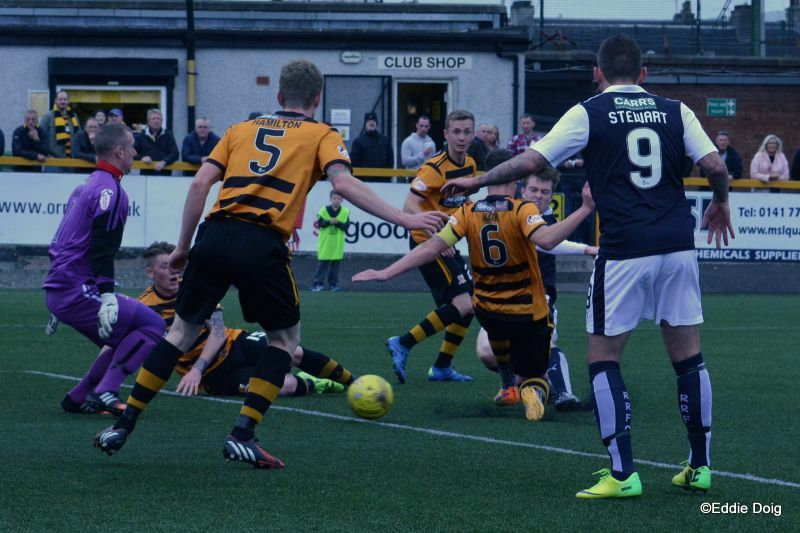 Daly had the next chance skying his first time shot from seven yards having got on the end of Stewarts low cross after Craigen had found Mark with a good ball. 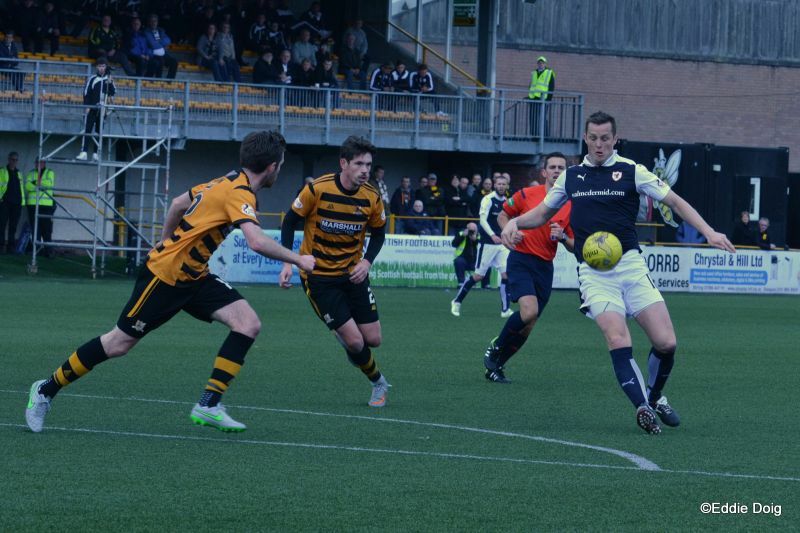 Alloa were trying to put the ball over the Raith defence and Toshney then Thomson blocked home efforts. 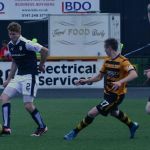 The Rovers threatened next from a corner with Davidson heading back across goal and Benedictus had two efforts that didn’t break the deadlock. As both sides tried to get the vital first goal with neither managing to take control home man Duffy fired a shot into the rail side trees before McNeil half caught then at the second attempt claimed a testing McKeown cross before the half ended with an odd moment. Cuthbert went out his box to sweep up and taking a touch eluded the first man before his clearance was blocked by a closing Wasp. The ball arched up and towards goal! From the other side the concerned Rovers support held their breath trying to work out where the ball was going to end up. 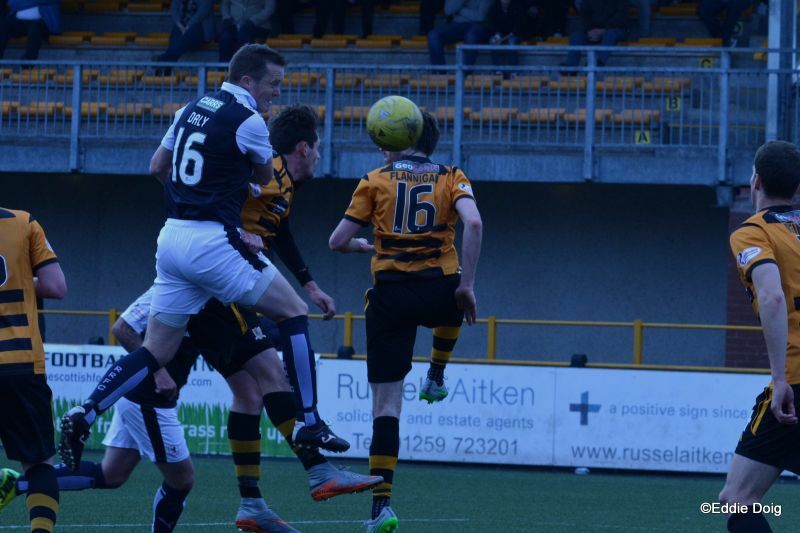 Lewis Toshney wisely decided to remove the danger heading the ball out of play. 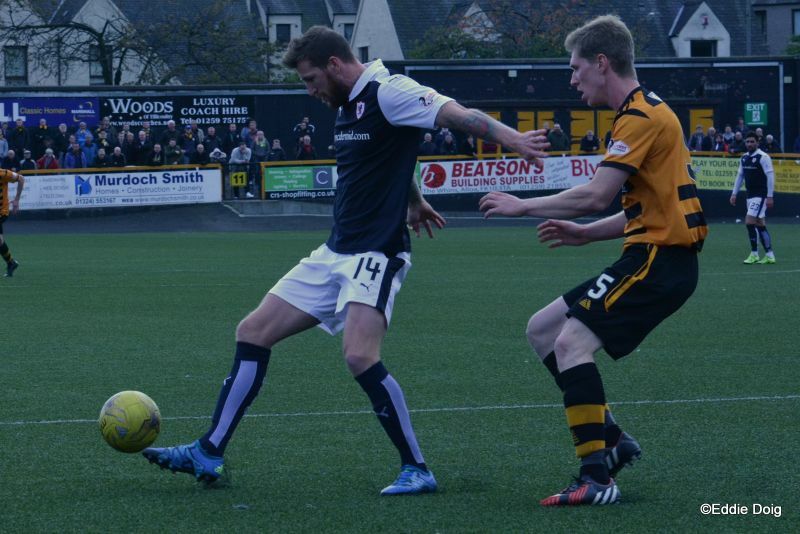 That was the big defenders last contribution as Ryan McCord took his place at the second half kick-off. 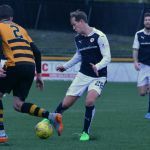 The ex-Alloa man coming on in midfield as Iain Davidson slotted back into the back four beside Benedictus. Perhaps Ryan was overly familiar with his surroundings misplacing his first few passes but soon settled in and became more effective. Trying to gain the upper hand Stewart did well wide and Craigen’s shot was blocked. 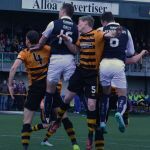 Pushing on the Rovers saw a move involving Robertson, Thomson and Wighton end with Craigen just failing to force a shot on goal. Then from a free kick Benedictus sent a firm header over as the Rovers pushed for the opener. The hosts had similar ideas and Chopra will have been disappointed to head at Cuthbert from a dangerous position then see his shot blocked at the end of a quick counter attack. 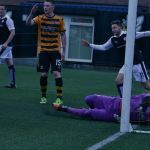 In the 70th minute McNeil took it upon himself to dash shouting to the edge of his box trying to take a high ball. He missed clattering Daly who’d headed goal ward but just wide. 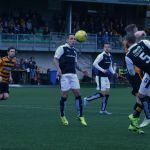 Daly had a better – and less painful opportunity – moments later heading a free kick over. 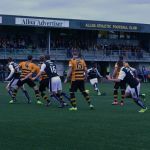 The Rovers kept on pushing and another good ball from Stewart wide eluded Wighton but the in rushing Robertson shot low and McNeil blocked then claimed the ball at the second attempt. Both managers shuffled their packs in the 79th minute making double substitutions. 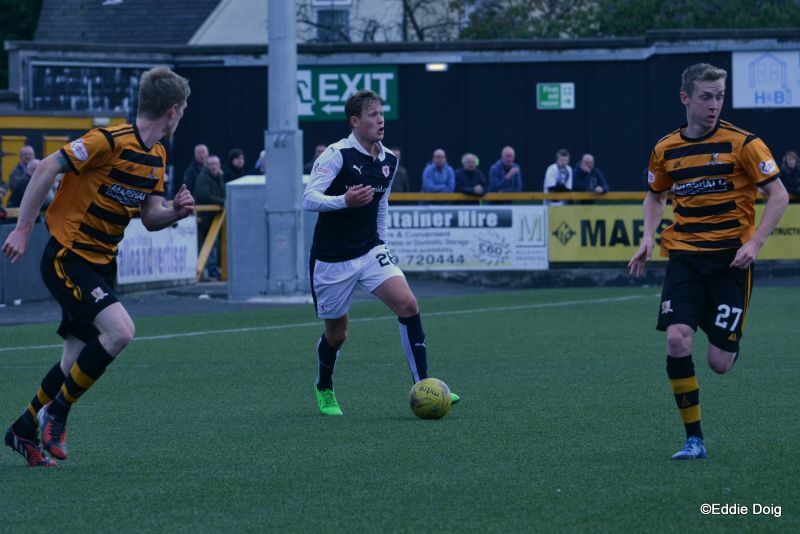 Craigen and Wighton were replaced by Anderson and Megginson. 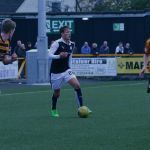 Ray McKinnon’s change paid almost instant dividends as Megginson nicked the ball and moved forward playing in Stewart wide. Mark’s low ball back to the running Megginson was hit goal ward and McNeil dove to block it. Yet again he didn’t hold it and Anderson was all too keen to capitalise stabbing the ball home from about four yards. 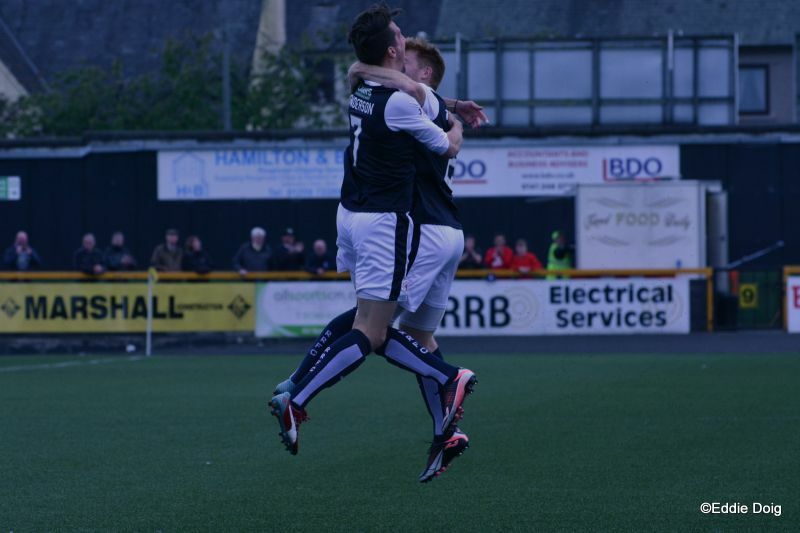 The Rovers players chased after him gleefully as he high stepped towards the celebrating travelling support. 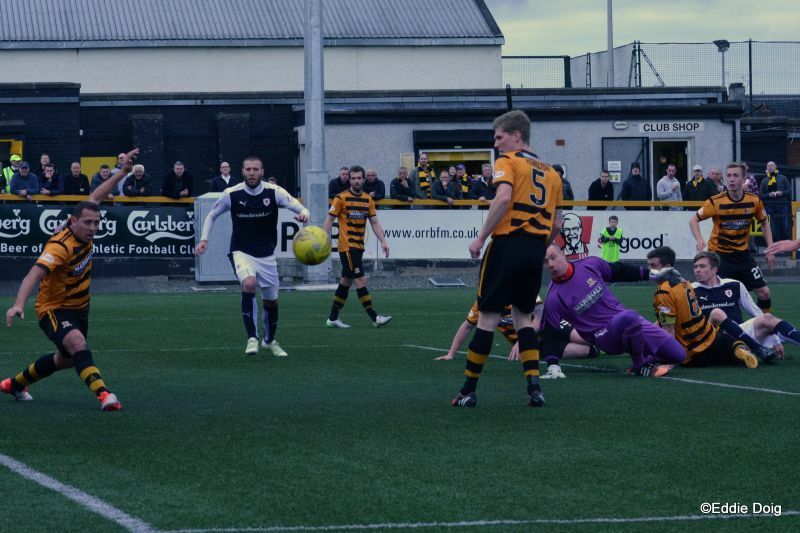 Alloa tried to react to going behind and some pressure ended with a shot wide from Hamilton. Anderson scampered down the wing easily outpacing a heavy footed defender and his low cross was somehow nicked from Stewart’s toe in the six yard box as the Rovers looked to seal the three points. Cuthbert easily claimed a tame shot from a Wasp then after a deep cross was squared Crawford put the last attempt of the game wide. 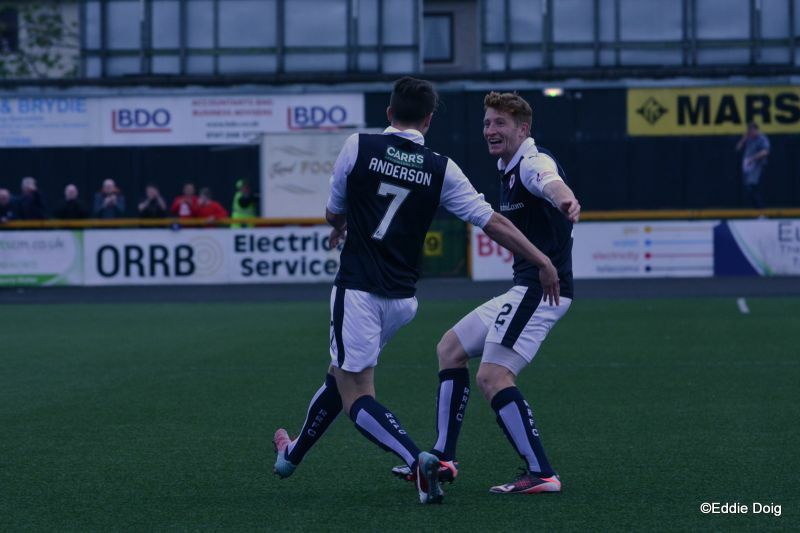 The Rovers fans cheered the final whistle and applauded the Raith players who had put in a hard shift. 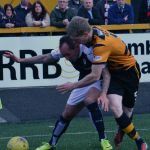 Both sides had chances with the Rovers creating more but many a similar match over the years have ended nil nil. However, yet again the points went to the Rovers and the winning run was extended for another week. Welcome to the Indodrill Stadium, it's 12 degrees and slightly overcast. 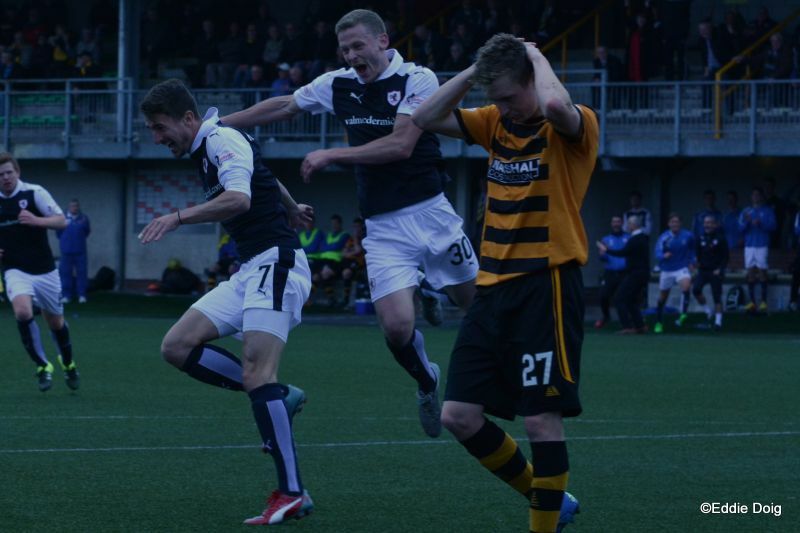 Rovers have won the last four league games, Alloa 's only win of the campaign was five games ago. Last season saw Rovers with a win and a draw at the Indodrill. Rovers kick off towards the main road. First action sees Crawford supply Chopra whose shot is cleared. 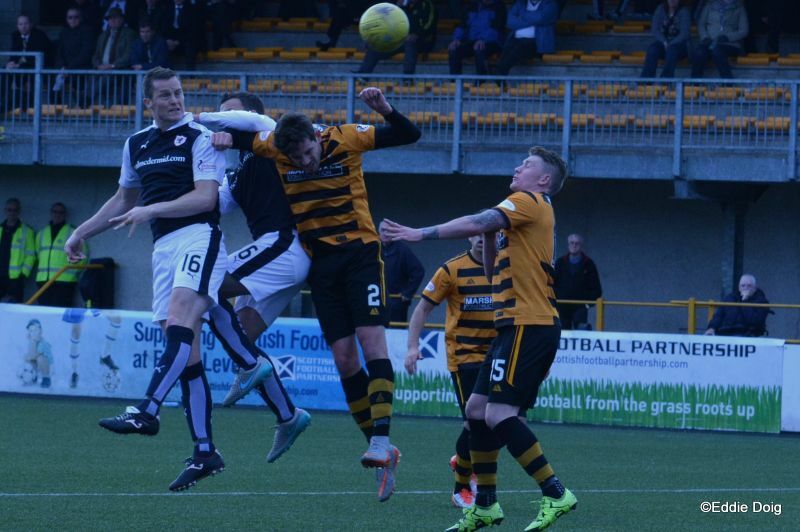 Wighton harassed the defender into conceding a corner from which head tennis ensued in the box. Toshney heads wide from a Craigen free kick. 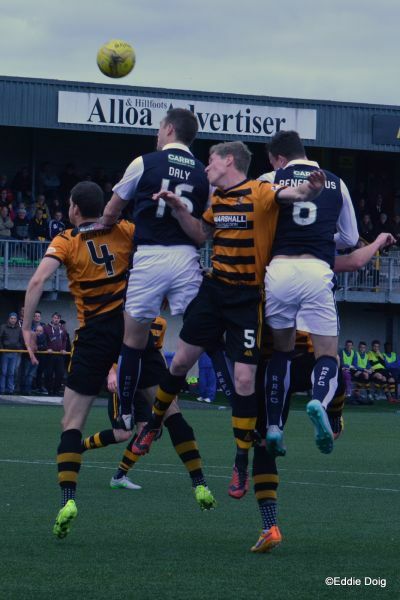 Alloa look happy to employ the high ball. 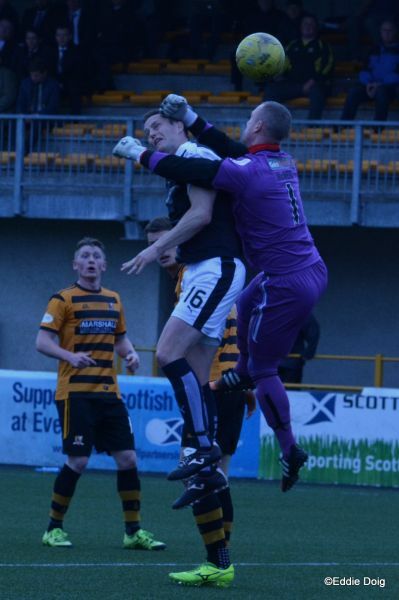 Hamilton tried to back heel Alloa into the lead but is thwarted by McKeowan. Duffy beats Thomson and sees Cuthbert pluck the ball out of the air. McKeown with a free kick, hits the wall and is cleared. Stewart traps the ball on the full and chips the defender and shoots, McNeil tipped the ball over. 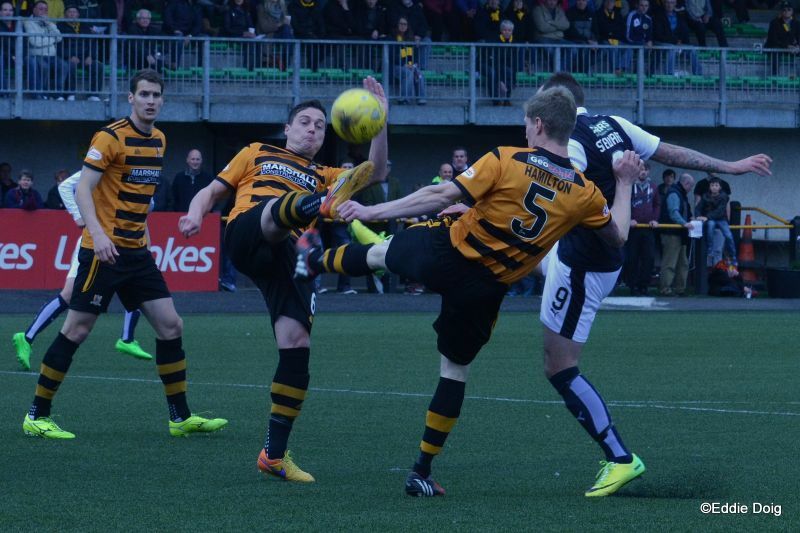 From the corner Wighton fires the ball off the legs of a diving defender. Craigen to Stewart out wide, chips in to Daly who fired the ball over from 6 yards. 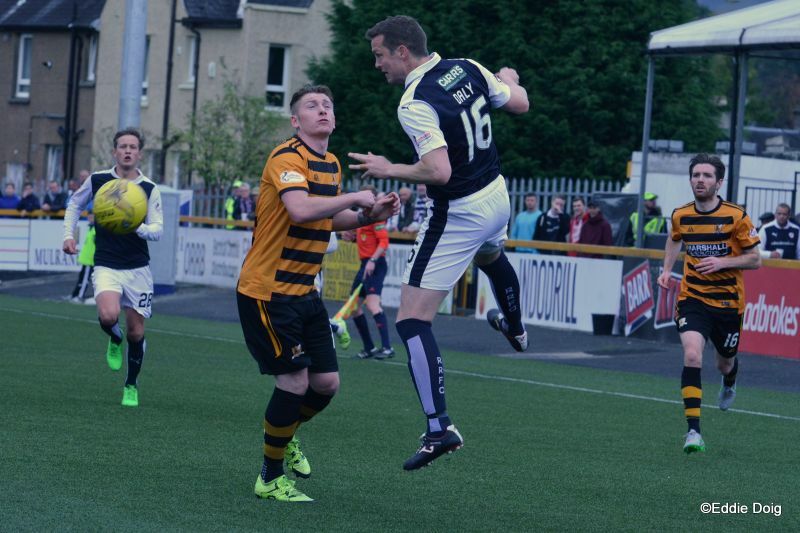 McAusland looks perplexed as the ref awards a foul four pulling the jersey of Wighton. Flannigan crosses but missed Chopra who was playing statues in the box. Crawford shoots from the D, The ball pinged up in the air Chopra catching the downward ball and volleyed over the bar. 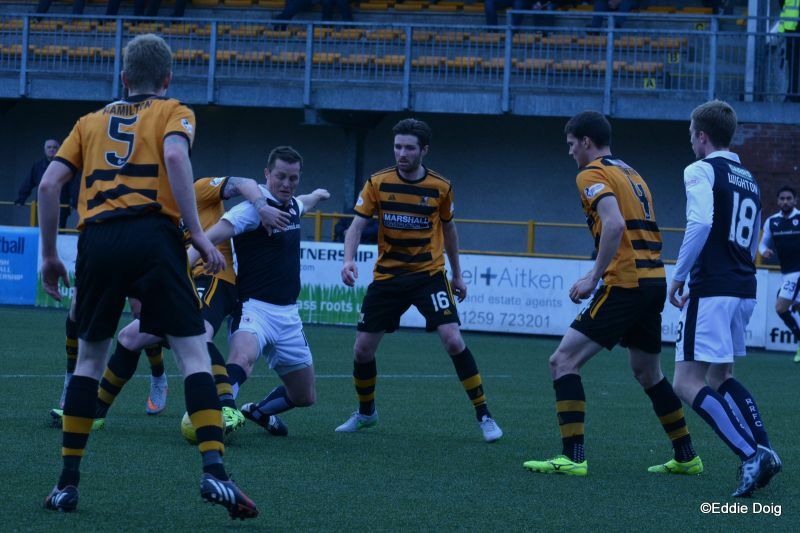 Rovers threatened at the edge of the Alloa box for a spell, but the effort in wasted. Marr forcing Cuthbert to fumble at a corner, from the resultant corner the ball is cleared. Mr Dallas having a word with the gaffer. Play stagnant in midfield at the moment. Craigen's free kick fell to Davo, he crosses to Benedictus who had two bites of the cherry, eventually shooting over the bar. 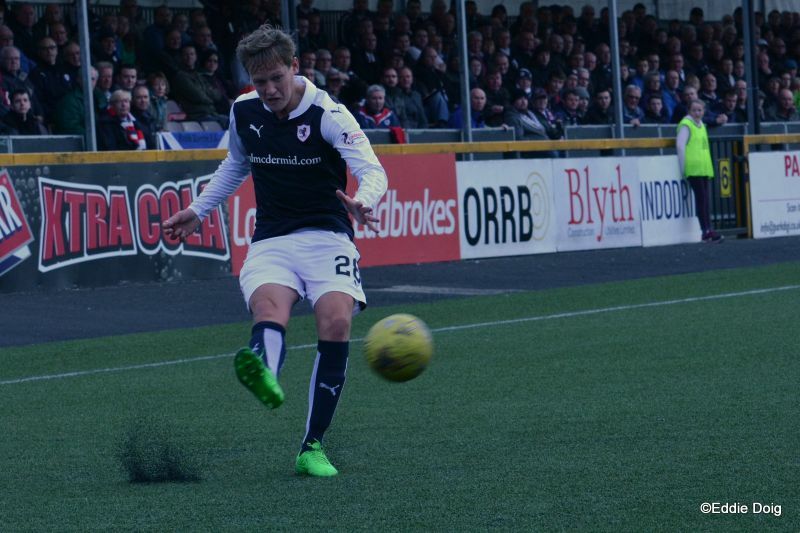 Robertson found himself in the open and fires over from 25 yards, the ball is now the property of Scotrail. McNeil back tracking, fumbled and then recovered the ball. Cuthbert comes out to clear, hits the ball off Crawford, the ball spins goalwards and blushes are saved by Toshney. 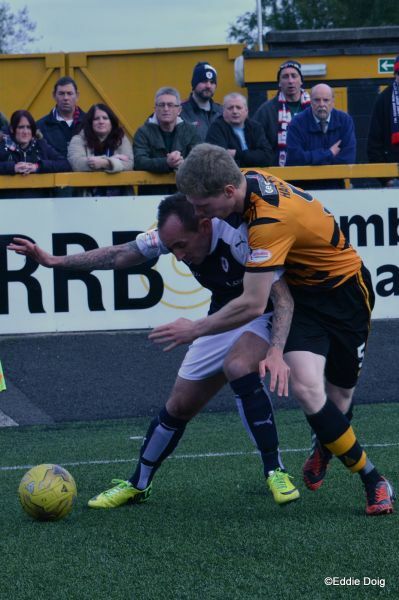 The ref has a word with Duffy as he pushed Toshney to ground in the box. 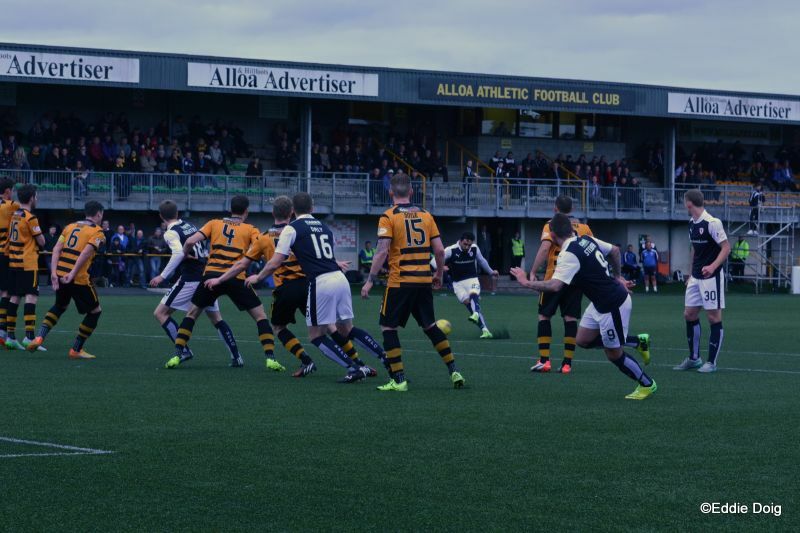 Defending the railway end Alloa kick off the second half. Davidson dropping back to right CB. 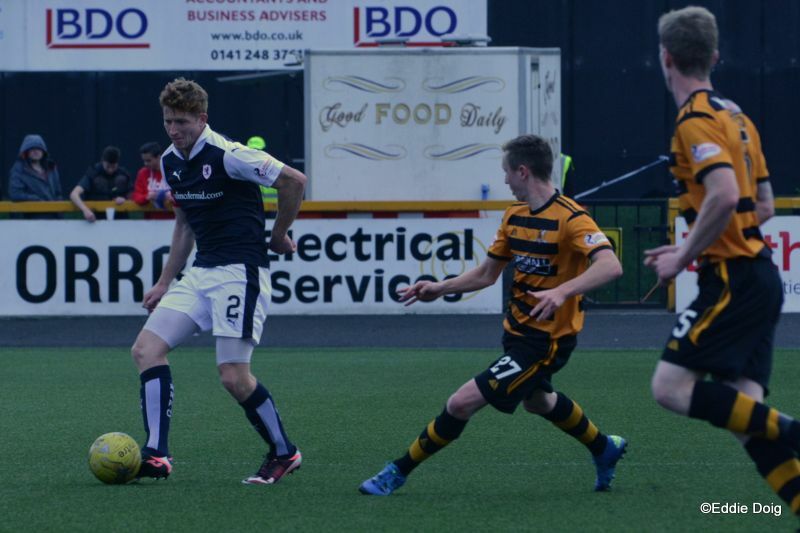 Thomson finds Wighton in the box, he turns but couldn't get the ball to Daly. 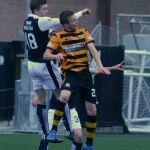 McCord pressing forward trying to connect with Wighton, the ball is too strong and goes out of play. From a rushed clearance, Daly heads narrowly wide. 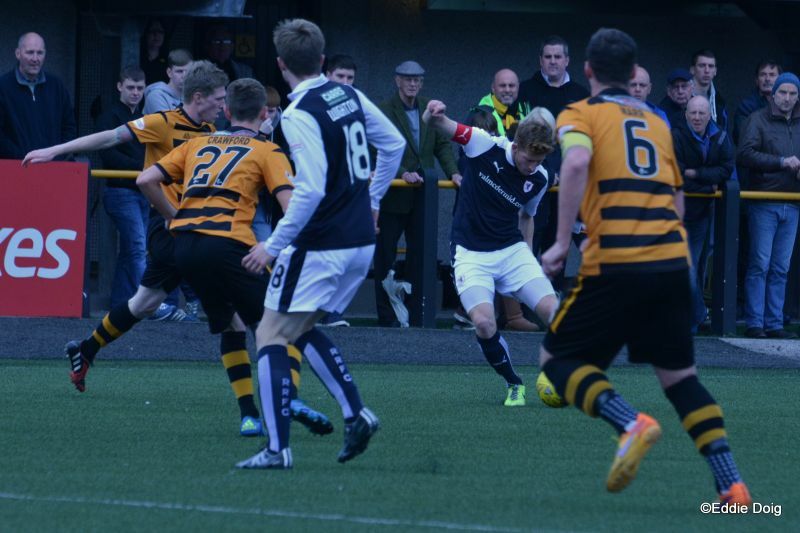 McCord chips a lovely ball into the box but neither line touched it and McNeil gathered. A great cross from Duffy on the left finds Chopra who heads the ball straight into the hands of Cuthbert from 8 yards. Cuthbert the saviour, rushing out to save a point blank shot from Chopra. Daly will have bandy legs by the end of the game what with having the weight of McAusland on him all of the match. Thomson rocketed the ball into the side net from a tight angle. Benedictus is derided by the home crowd, sclaffing the ball sideways from what was a shot on goal. 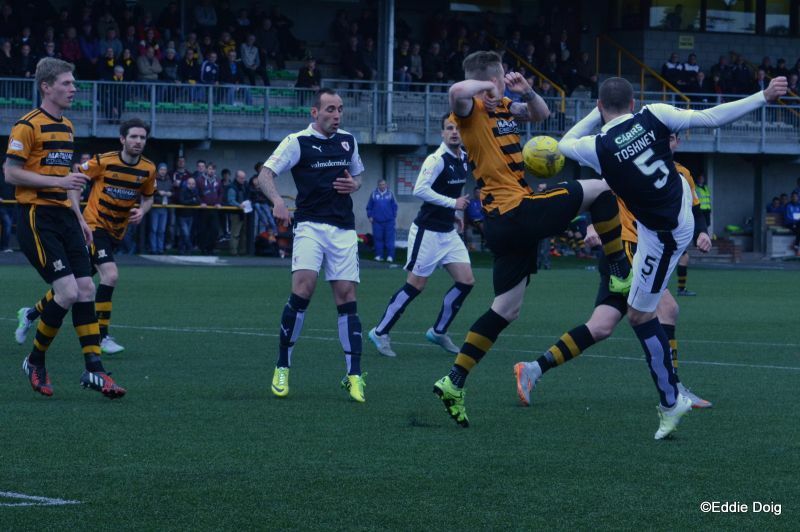 A long throw from McKeowan finding Daly who couldn't get past the defence with his header. 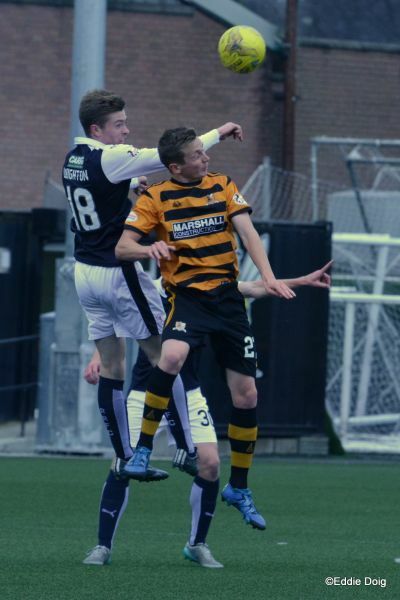 Alloa lumping the ball up the park. Duffy with a soft volley almost chips Cuthbert but the ball had no momentum and the keeper gathered the ball. 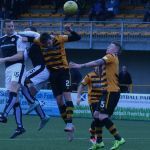 McNeil rushed out to punch clear, missed and alloed Daly to head the ball albeit wide. McCord whips in a free kick, Daly emerged from the pack but heads over. Ray looking to change things. 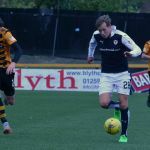 Thd ball is crossed by Stewart, goes through a sea of legs and finds Robertson who shoots only to be denied by the diving McNeil. Chopra and Duffy off, Ferns and Layne on. Craigen snd Wighton off, Anderson and Megginson on. Anderson just on the pitch scoring at the back post from 6 yards. Raith support urging the team on. 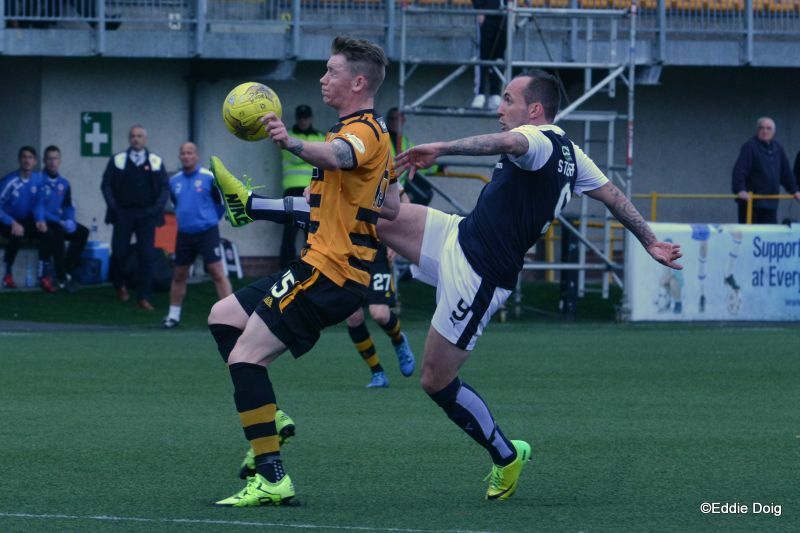 Fresh legs of Megginson telling on the Alloa defence. 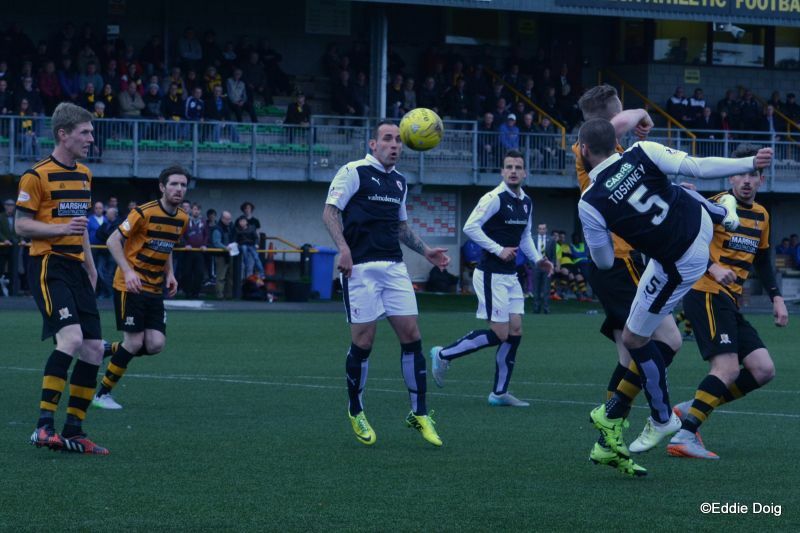 McCord with a flighted cross foud Daly, his soft header drifting out of play. Ferns shimmies into the box but his shot is saved by Cuthbert. +1 Crawford shoots wide from 12 yards. 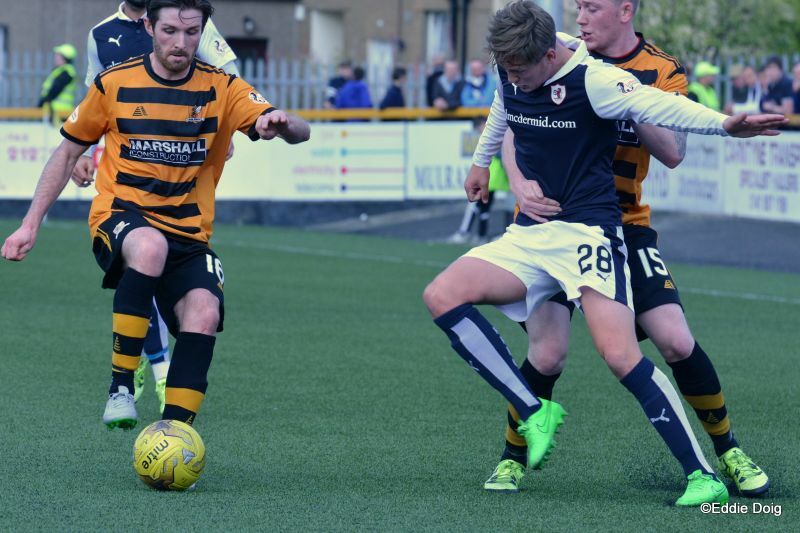 +2 Rovers record their fifth straight win in the league, Alloa winless in six games. McNeil, Doyle, Reintam, Marr, Hamilton, Flannigan, McAusland, Holmes, R Crawford, Chorley, Duffy. Subs, Hetherington, Ferns, O'Brien , Williams, Hoggan, D Crawford. 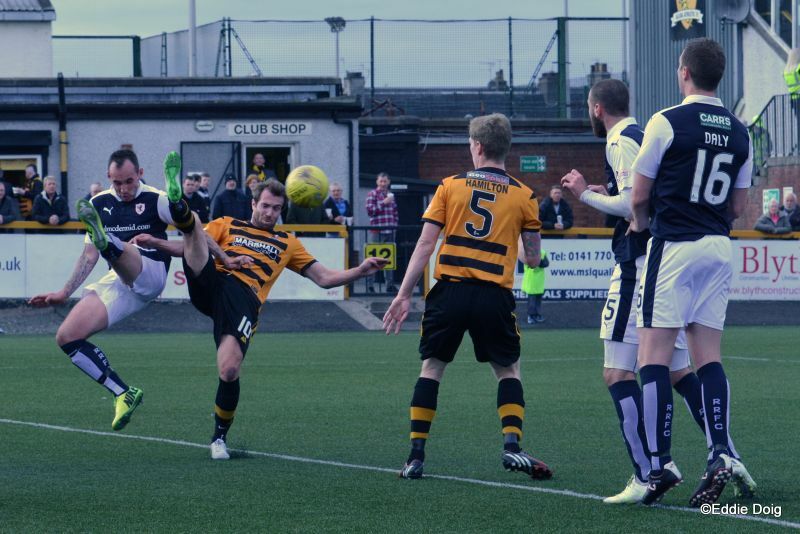 Cuthbert, Thomson, Toshney, Benedictus, McKeowan, S Robertson, Davidson, Craigen, Wighton, Stewart, Daly. Subs, McCord, Anderson, Petrie, Megginson, Matthews, Ford, Laidlaw. 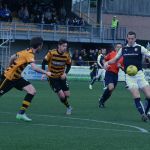 After the drama, and ultimate disappointment of the international break, the SPFL returns this weekend, with Raith Rovers travelling to Clackmannanshire, to take on Danny Lennon’s Alloa Athletic team. 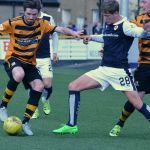 While Raith’s impressive form has seen them win six of their last nine games, Alloa have also enjoyed an upturn in fortunes, with just two defeats in five after a difficult start to the campaign. 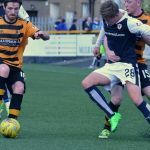 Not only has that sequence seen them defeat Dumbarton, they’ve also posted impressive draws against both Falkirk and St. Mirren. 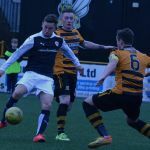 Those five points, mean the Wasps have now nudged ahead of Livingston once again at the foot of the Championship table, and currently reside in ninth place. 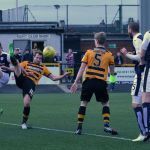 Jason Thomson’s late, late goal in the 2-1 win over Morton a fortnight ago, sustained Rovers 100% home record, and they’ll be looking to make it two successive league wins on their travels this Saturday, after the win in Paisley in last month. 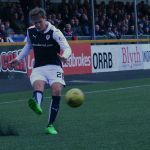 The last meeting between these two teams ended in a 3-0 win for Raith, but that didn’t necessarily tell the whole story of the match, which was a reasonably tight affair, at least until James Craigen opened the scoring with a stunning volley from 25-yards, ten minutes into the second period. 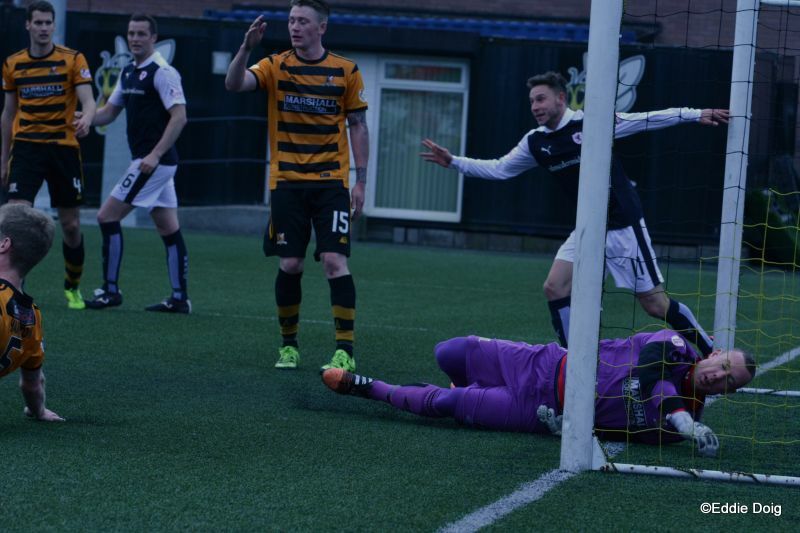 Further goals from Craig Wighton and Mark Stewart completed the scoring. 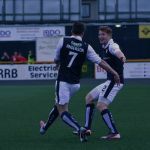 Evenly-matched games are a recurring theme in this fixture, and while Rovers have an impressive record at the Indodrill Stadium, you have to go back to 1990 to find the last time the Kirkcaldy club won a match at the venue by more than one goal, a 4-0 victory back in April of that year. 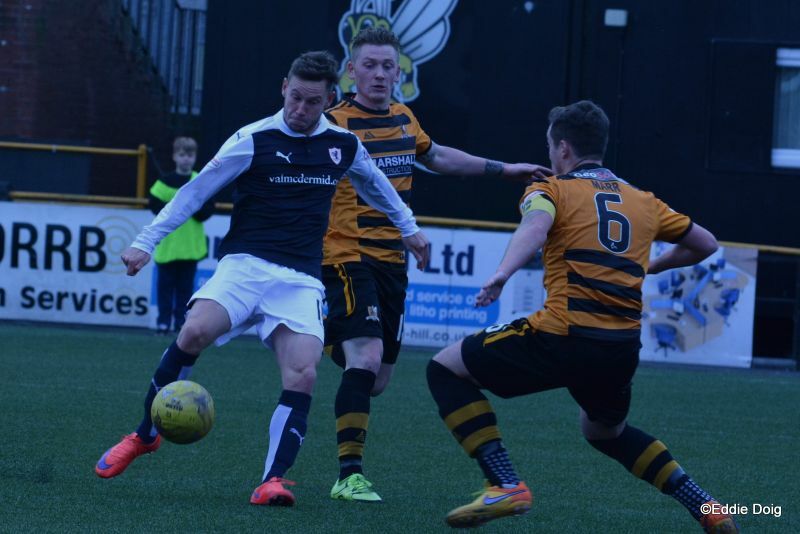 Raith have six wins and three draws from the last ten meetings between the clubs, with Alloa’s only triumph coming in November 2013. Saturday’s match referee will be Andrew Dallas.